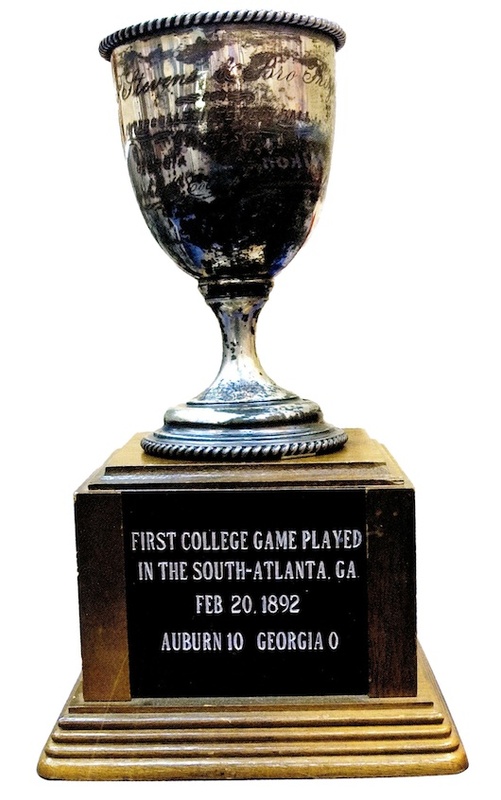 Here’s the trophy Auburn football players earned exactly 121 years ago today. And here’s the pledge they had to sign before they did it. Related: Auburn players, coaches reading the Auburn Creed at George Petrie’s grave 100 years after Auburn’s first football game. athlectic department to see if they wanted it. He told me that they didn’t even know that one existed, but that they would like to have it. He delivered it to them and it has been in their collection ever since.